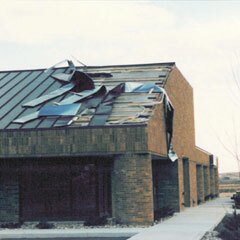 WindGuards Prevent metal roof damage from coastal winds, micro bursts, hurricanes and tornadoes. Can help your building meet the new tougher ASCE 7-98 wind code guidelines. 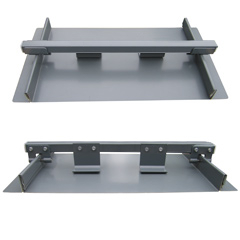 Galvanized Steel or Stainless Steel construction for strength and durability. Prevents metal panel wind uplift caused by negative wind pressure. 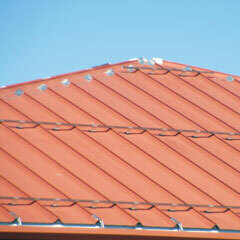 Significantly increases metal roofing uplift performance while reducing metal roof noise. Uses the only one piece, top loading stainless steel clamp in the industry. Fast Installation. The bar is not fed through the clamp like other systems. Available color-matched powder coating on all components.